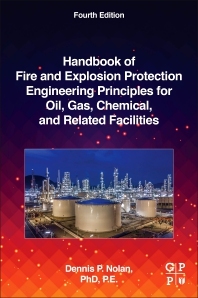 Handbook of Fire and Explosion Protection Engineering Principles for the Oil, Gas, Chemical, and Related Facilities, Fourth Edition, discusses high-level risk analysis and advanced technical considerations, such as process control, emergency shut-downs, and evaluation procedures. As more engineers and managers are adopting risk-based approaches to minimize risk, maximize profits, and keep operations running smoothly, this reference encompasses all the critical equipment and standards necessary for the process industries, including oil and gas. Updated with new information covering fire and explosion resistant systems, drainage systems, and human factors, this book delivers the equipment standards needed to protect today’s petrochemical assets and facilities.